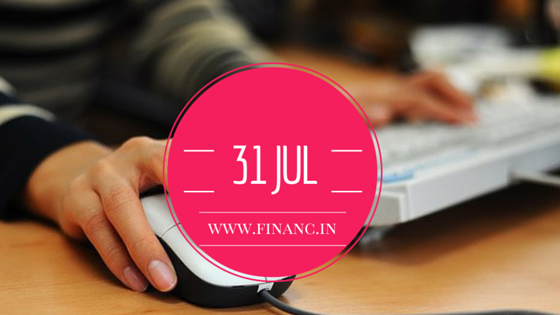 The July 31st deadline for income tax returns in knocking the door and let the cloud of doubt surrounding it cleared. Income tax is what you pay the government when you earn income above a threshold level. It is what you shell out for all the services you avail from the government. 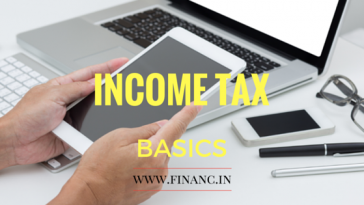 Whereas Income tax return is the procedure through which the citizens declare all their income, expenditures and reductions to the government through prescribed formats. It is a necessity that every person earning above the exemption limit and paying taxes should file ITR. The exemption limit is at present INR 2.5 lakhs for the current financial year for a citizen below the age of 60, INR 3 lakhs per annum for citizens in the age group of 60 to 80 and INR 5 lakhs for citizens above the age of 80. Interest earned over fixed deposits. Capital gains over equity shares. A NRI holding savings bank account or fixed deposits and earning interest over them and letting out properties for rental purpose in India has to file ITR as this is also a source of income. If the income through any of these avenues crosses INR 2 lakh then ITR should be filled. ITR serves as income proof it is the valid documented proof accepted when you apply for a visa, bank loan, foreign education or employment abroad. It is accepted globally. It helps you in securing bank loans faster as you have stated a clean credit history and law abiding citizen. If you have paid income tax for the financial year or tax is deducted at source and the amount paid is higher than what you are supposed to then you can claim for a refund through income tax returns. No claim is possible without filing returns. Companies under loss can carry over them to up to 8 years and then adjust it with future profits and reduce the tax they pay. The carry over is possible only if ITR is filed. This applies even to people investing in shares. There are certain sources of income exempt from tax like agriculture, commuted pension, tax free gratuity and long term capital gains. Though these income earners need not pay tax to file returns it is beneficial that they file returns. When they make investments in companies or make huge expenditure it will monitored through personalized account number (PAN) and raises tax men’s suspicion so in case of any questioning ITR serves as documented proof. 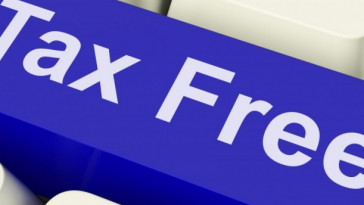 There are around 9 forms prescribed by the central board of direct taxes (CBDT) depending on the tax payer’s income. There are new forms added apart from the previous financial year forms. The finance ministry earlier included provisions to disclose foreign trips and dormant accounts which were dropped after controversies. Therefore one does not need disclose details of foreign trips but provide the passport number with appropriate forms. The number of pages in ITR forms has been reduced to taxpayers comfort. Students or business people in India who acquire foreign assets during their stay need not file returns if they do not have any income here. ITR 1: this is for salaried people with one house. An others earning additional income through horse races or lottery or won more than one house should not fill this form. Agricultural income earners of more than INR 5,000 are also not eligible to fill this. ITR 2A: This form is for salaried class people with more than one property and no capital gains. And those who invested in long term capital gains and sources which are exempted from tax can fill this. If they have income through capital gains they will not be eligible to file this. Non resident Indians can also fill this if they have income in India from non taxable source. However citizens with foreign assets or accounts cannot file this form. ITR 2: Those who have capital gains or interest money should file this form, agricultural income earners of above INR 5000 and citizens with accounts in foreign banks or foreign assets. Losses in horse races and lottery from this year can also be stated, to be carried forward. ITR 3: This form is applicable when a citizen is partner in a firm but does not carry business as an owner but only through means of interest salary bonus and shares. ITR 4: This is for citizens who receive income through business. There is no minimum amount of income to file this form. All the income sources such as interests, lottery house property of a business person can be included. ITR 4S: This form is a new one introduced for the sake of freelancers, consultants and resident partnership firms. If the gross receipt of these citizens does not exceed INR 50 lakhs they can file this form for “presumptive taxation”. One can declare their gross receipts and 20 percent of it as expenditure without any further details and pay taxes for the 50 percent of gross receipts as income. This was introduced to ease the burden on consultants and freelancers who cannot spend or maintain account books as they are time consuming. ITR 6: Applicable for companies who do not make claim under section 11. ITR 7: This form is applicable for charitable trusts and religious entities. ITR 8: For those filing FBT returns. It is better that citizens fill out the forms well before the date of deadline to avoid confusions and improper disclosure of information. As a citizen of this nation it is part of our duty to pay taxes and file them. Failing to pay taxes will lead to penalties and legal action from the government.